It’s hard to believe the holidays are nearly upon us. With Thanksgiving quickly approaching, many of you have already begun planning your holiday travels out of Littleton. 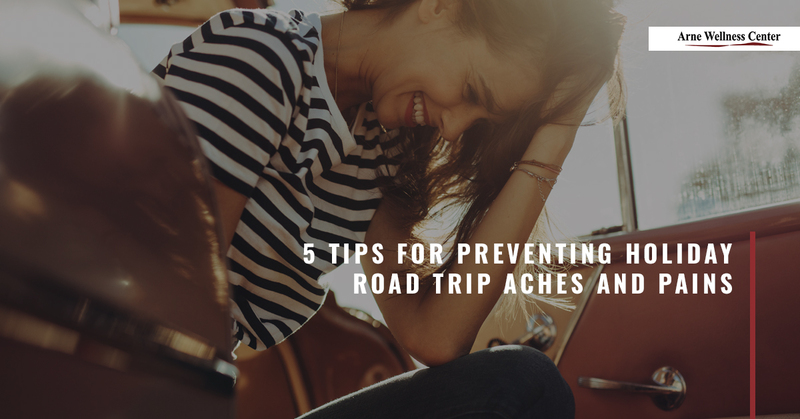 For those of you who plan to drive to your destination — be it near or far — there are many aspects of a road trip that can cause aches and pains to occur in different regions of the body. Therefore, the friendly wellness team at Arne Wellness Center will share some holiday road trip tips to prevent the development of aches, pains, and other symptoms from developing in your neck, back, and extremities. In the unfortunate case, you are involved in an auto collision during your travels, you can rest assured that we offer compassionate auto injury treatment in Littleton to help you heal and recover quickly from your injuries. Call us today to learn more. Making a few ergonomic adjustments in your vehicle and being more mindful of your body while you travel can help you prevent aches and pains from developing. Here are some tips to guide you. The adjustable features in your car are meant to give you some control over your body ergonomics and comfort levels while traveling. Before hitting the road, take some time to sit in the driver’s seat and make necessary adjustments to give you a comfortable ride. Scoot the seat close to the steering wheel to avoid straining your neck, shoulders, lower back, hips, and legs. Adjust your seat so your knees are slightly higher than your hips, which can reduce strain and prevent cramping. 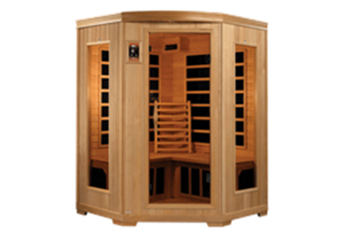 A good lumbar back support can help prevent mid, lower back, and hip strain. Straining these areas can put pressure on the spinal nerves and may contribute to such issues as sciatic pain, and cause other symptoms like weakness, numbness, and tingling. Neck supports are another option when riding as a passenger, especially if you tend to nap while riding in the car. Even using a neck pillow while you ride will prevent your neck from becoming cramped as a result of falling asleep with your head hanging down in front of you or to either side. Gripping the steering wheel during bumper-to-bumper traffic is a natural reaction; it can be nerve-racking to be stuck in jam-packed holiday traffic. But keeping a looser grip on the steering wheel can prevent muscle fatigue, spasms, and cramping while allowing for a better flow of circulation to your wrist, hands, and fingers. Additionally, the American Chiropractic Association (ACA) recommends holding the steering wheel at about three o’clock and seven o’clock, and then switching every so often to ten o’clock and five o’clock. Doing so can prevent tension in the arm and shoulder muscles, as well as the elbow joint and wrists. Your neck and shoulders can become stiff and sore while driving or riding as a passenger. Drivers can gently and slowly stretch their neck and trapezoid muscles by simply tilting your head to one side and then repeating on the opposite side. Keep your shoulders dropped to avoid shoulder and neck tension. Passengers can do this simple neck stretch while also bending the knees to stretch the legs and rotating the ankles to prevent cramping and swelling. Always take breaks to rest, stand, stretch, and walk around, even on shorter road trips. 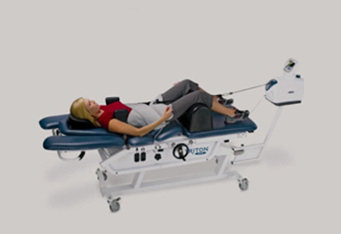 Drivers, it is essential to get the blood flowing to your lower body to prevent swelling, fatigue, cramping, and pain. It’s much easier for you to stretch and lightly exercise your back and limbs during a break than it is to do while driving. From a standing position, slowly drop the top half of your body forward and down, bending at the hips and keeping your knees slightly bent. Hang your arms down over your head and touch your fingers to the floor (if it is comfortable). This is a great way to stretch your back, hips, and legs. Walk a few paces to get the blood flowing and as you do, stretch your arms by reaching one across your chest and lightly pulling it toward your body with the other arm. Repeat on the opposite side. It’s always a good idea to schedule chiropractic care before and after traveling to address any problems. In the unfortunate case that you are involved in a car accident and suffer an injury while traveling this Thanksgiving, contact Arne Wellness Center to begin auto injury treatment, which may include chiropractic adjustments, massage, acupuncture, and other effective therapies. 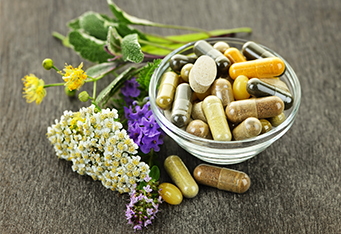 These can help stimulate the body’s own ability to heal, providing quicker healing responses and longer-lasting pain relief. Call Littleton’s Top Rated Local® chiropractor today to get started.